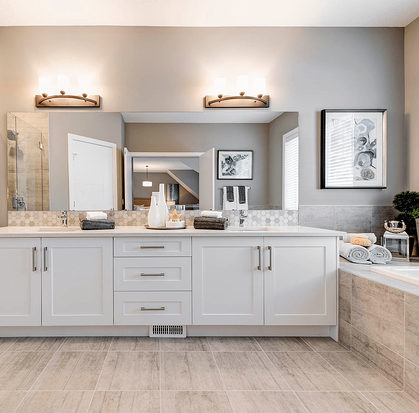 As you tour showhomes, it can be hard to look past the décor and imagine what it would look like if you were actually living in it. In some cases, the look of a professionally-staged home is far nicer than anything you might be able to re-create on your own. In other cases, you may find the style opposite to your personal taste that it’s hard to overlook. The ability to look past the décor is especially important when it comes to buying a brand-new home. If you do buy a new home, you’ll have the opportunity to make many of the design choices on your own. Suddenly, liking the kitchen backsplash or the colour of the carpets isn’t quite as important. Our tips can help you look beyond the what you see in the showhomes and picture yourself living in the home as your own. Look around your current home and pay attention to the furniture you have. Think of how you'll arrange your furniture when you tour showhomes. A spacious living room might look great until you realize your small couch and loveseat probably aren't going to be enough for the room. The interior designers who stage showhomes tend to add accent pieces in each room and you may not have comparable pieces. What will the space look like without those pieces? 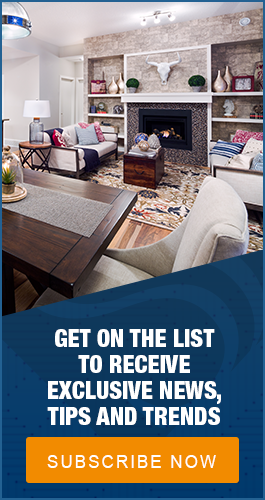 Will you have to add furniture once you move into your new home? Sometimes it’s helpful to look at the floor plan before you tour the home. Floor plans typically include the dimensions of the rooms and that can give you a better sense of the size of rooms you need. Measurements that look big on paper might seem small once you’re in the room. When it comes to finding your ultimate floor plan, be sure to tell the builder what you're looking for. 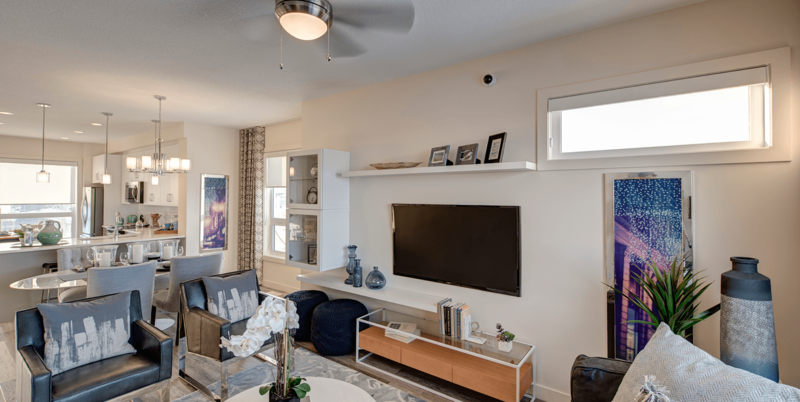 Some plans offer different layouts that aren’t obvious when you simply tour the showhome. Think about the things you do in your home on a daily basis and imagine what your life would feel like. Do you like to entertain? Do you work from home? Will you be able to hear a child calling out for you in the night? Can you use all of the space? Extra bedrooms and dens seem like a great idea but if you’re not going to put them to use, you’ll be better off selecting a home without. It will probably have a lower price tag. Think of your lifestyle when trying to narrow down your options. If you have trouble imagining what a home would look like without the décor, ask the Area Manager if they have any pictures of the home without furniture or decorations. If they don’t have these, they may have pictures of the home in a style that better suits your taste. This can give you a better sense of what the home will look like when it’s yours. 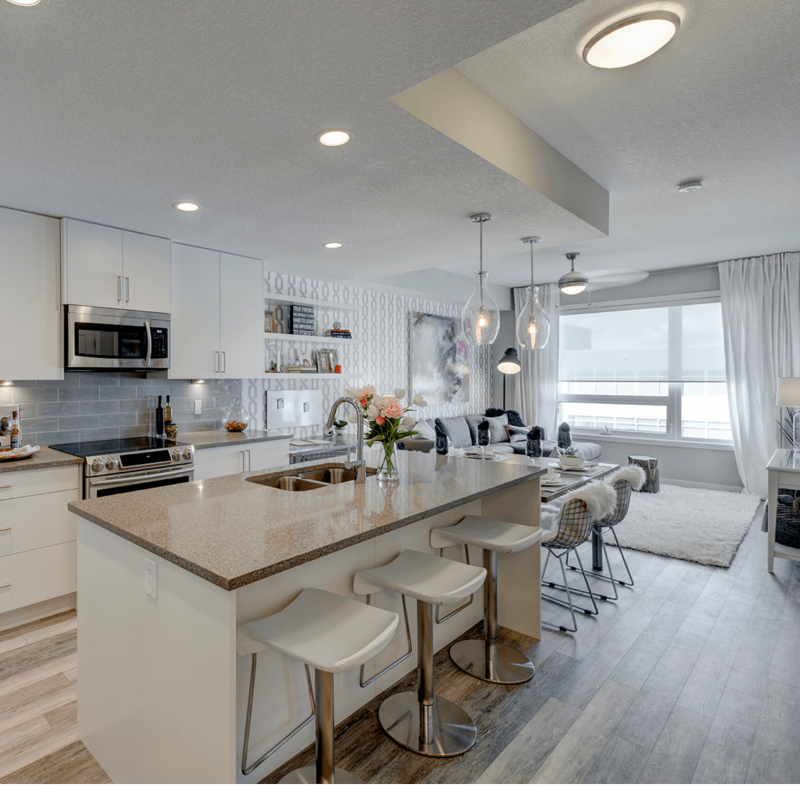 Even if the colour selections in the showhome isn't your favourite, you won’t have to spend time re-painting or remodelling the way you would if you bought a resale home. The builder may have chosen to decorate in a clean, modern style but if you prefer the farmhouse style, that’s what your home will look like. Ask to see what other colours and finishes are available, then try to imagine what the home will look like using the materials you want. Go beyond the looks of the home. Think about the way the energy flows throughout the space. Look at storage space in the closets, kitchen and bathrooms. The quality you see in the showhome is a reflection of the quality you should receive in your own new home. These are the things that are really important when it comes to selecting the right home for you. Looks are secondary. You have a lot of choices when you’re building a new home. When touring show homes, focus on the floorplan and ask the builder what design choices are available to you. A good builder will be happy to help you envision the new home of your dreams.